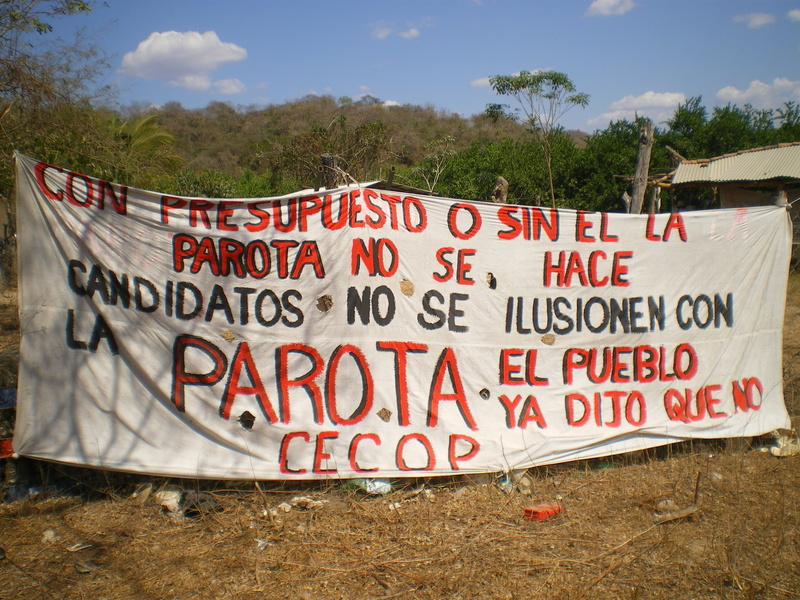 On 21 August, the spokesperson for the Council of Ejidos and Communities Opposed to the La Parota Dam (CECOP), Marco Antonio Suástegui Muñoz, was released after having been incarcerated for fourteen months. 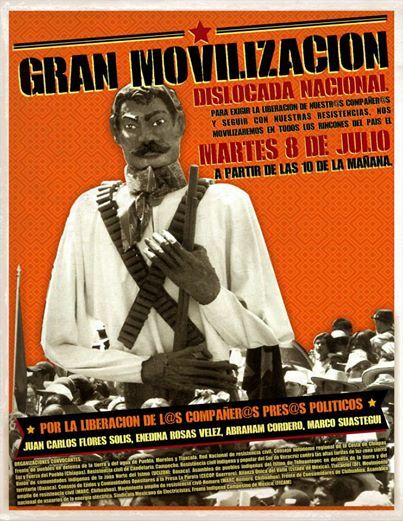 He had been arrested on 17 June 2014 on the charge of having participated together with eight other opponents to the La Parota dam project in a shootout and attempted murder. 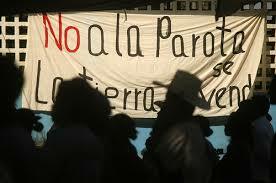 Members of the Council of Ejidos and Communities Opposed to the La Parota Dam (CECOP) protested on 17 June at the offices of the Judiciary in Acapulco, where they demanded that authorities from the three levels of government immediately release their leader Marco Antonio Suástegui, alleging his innocence, with this being the reason they will not rest until he is free. Marco Antonio Suástegui, who has been imprisoned for a year, founded the Communal Police in the Common Lands of Cacahuatepec, and for years he opposed the La Parota hydroelectric dam project. 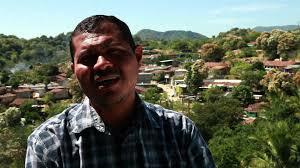 Upon the completion of a year since the arrest of the CECOP leader, the Tlachinollan Mountain Center for Human Rights urged the Superior Tribunal for State Justice, based in Acapulco, to resolve the three appeals that have been presented against the prison sentence. The organization denounced that the Tribunal “has delayed its decisions on the appeals for no reason, thus prolonging the process.” It also said that the motions against imprisonment demonstrated violations to due process, including the fact that, at the time that Suastégui declared himself, he was not allowed to have an attorney present. 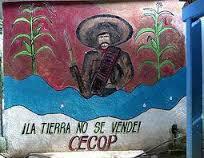 On 6 October, María de la Cruz Dorantes Zamora, member of the Council of Ejidos and Communities Opposed to the La Parota Dam (CECOP), was arrested on the charge of qualified robbery following the denunciation submitted by Humberto Marín Molina, owner of the gravel-company Kimbar. Marín Molina alleges that he lost 6 million pesos because of Dorantes Zamora, who was arrested while returning from chemotherapy for the cancer she has. She denies the accusations against her and assures that she was visiting different communities on the days during which the robbery is supposed to have taken place. 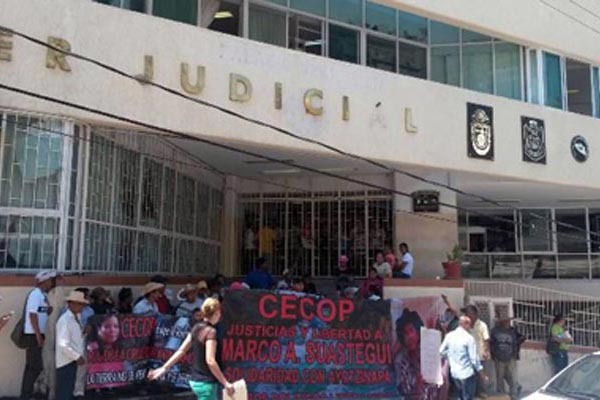 The charge of qualified robbery is also one of the five charges presented against CECOP spokesperson Marco Antonio Suástegui Muñoz, who was arrested in June and is currently being held in Tepic federal prison in Nayarit state.